It’s The Little Details « blarg? I’m really interested in video games as narrative, and the possibilities virtual spaces open up to be examined through the lenses and terminologies of the various schools of literary criticism that are content to call anything that hits them in the eyes a text. There’s a lot of ground in that field to cover, and some of the best games are happy to give you a glimpse of the scope of the worlds they’re embedded in and the forces that shape them, a larger sense of who the protagonists are, and hint at the broad brushstrokes and hidden grammars of a story you’re barely a part of. Portal 2 is great for this. 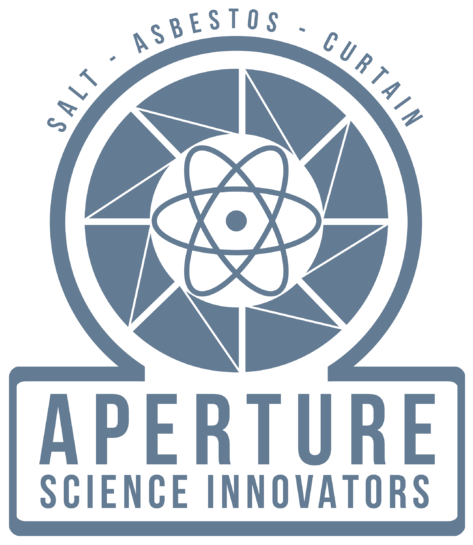 If you’re paying really close attention, there’s a few interesting discontinuities in Portal 2. Some of them are… maybe more obvious than they should be. The low-hanging fruit come when you’re fighting through Wheatley’s tests in the latter third of the game. When you first meet back up with her halfway up Test Shaft 9 Glados tells you that she “literally doesn’t have the energy to lie to you”; she later on she reverses herself on the claim that she didn’t stockpile test chambers when she’s called on it. Another one that might just be a continuity error comes up when you emerge from the last of the Test Shaft 9’s pumping rooms; the walls below are marked “1982”, but stepping through the door leads you to a vitrification order dated 1961. Continuity seems pretty clear, at that point, so, maybe this is nothing? But maybe it’s something, or a hint at something. Because at the very bottom of the mine, in the doorway out of the fifties-era Aperture Science offices where the first picture of Cave and his runner-up contractor-of-the-year awards are, the sliding door is apparently controlled by a little white device, with little square lights. And if you look closely, you’ll see it inscribed with, not the 50’s era Aperture Science logo as you’d expect, but with the most recent lens-blade Aperture Science logo, the one we all know and love. There’s no hint that I can find anywhere else in the narrative that this has any right to be there but there it is, and the implications for the story, both main- and back-, are pretty large. I do like me some understanding a good story so self, I said to myself, why not just ask? So I sent some email to Chet Faliszek asking him: is it there on purpose, or is that an oversight? As you probably know, the answer to that seemingly innocent question would necessarily include partial answers to several even bigger questions. Nice try, though. Glad you liked the game! I don’t know that I expected anything else, but there it is, and my slow-clap processor is running pretty hot right now. Whatever it means to the story, there’s functioning, modern-era Aperture Science technology deployed at the very, very bottom of Test Shaft 9, making a sliding door work.